Inspired by the author's traumatic childhood experiences and set against the backdrop of the Lebanese civil war, Child of the Moon is a powerful collection of poetry reflecting on fear, shame, despair, suicide, and the unconditional love that leads to healing. i am a writer, poet, and performer, and soon to be therapist. i find inspiration in my journey to heal from complex trauma. 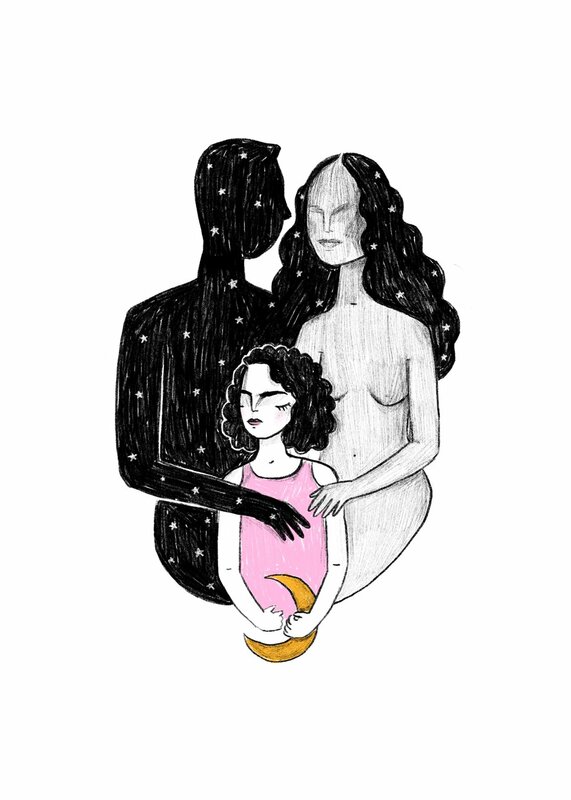 It took me 30 years to realize that growing up in Lebanon, the violence in my family, and the mere fact of being in a woman’s body carried a lot of trauma and pain I was numbing and running away from. i started writing on platform medium after hitting rock bottom, following burnout and a major depression. Two years later, close to 50,000 people were following and engaging with my writing about despair, fear, trauma, and shame. An agent named laura lee mattingly reached out to me IN 2017, suggesting a book. six months later, child of the moon was born, AND SOON AFTER FOUND A HOME WITH ANDREWS MCMEEL, PUBLISHER OF RUPI KAUR AND NAJWA ZEBIAN AMONGST OTHER POETS. Born and raised in Beirut, Lebanon, I currently reside in San Francisco, where I am attending school to become a psychotherapist. Prior to following my authentic path of artist and healer, I was on a more traditional one attending stanford Business School , working at airbnb as an early employee building and scaling the hospitality startup, and founding The passion Co., an org. that helps people find and pursue their passions.